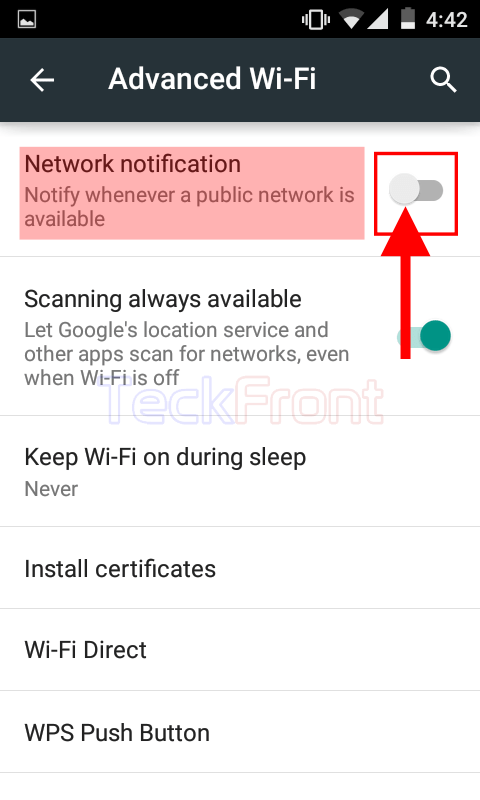 How to Enable Public Network Notification in Android 5.0.2 Lollipop? As Wi-Fi or a public network is a must for almost all the apps in all the new smartphones, smartphone system remain in search of public network if you are not connected to a public network. 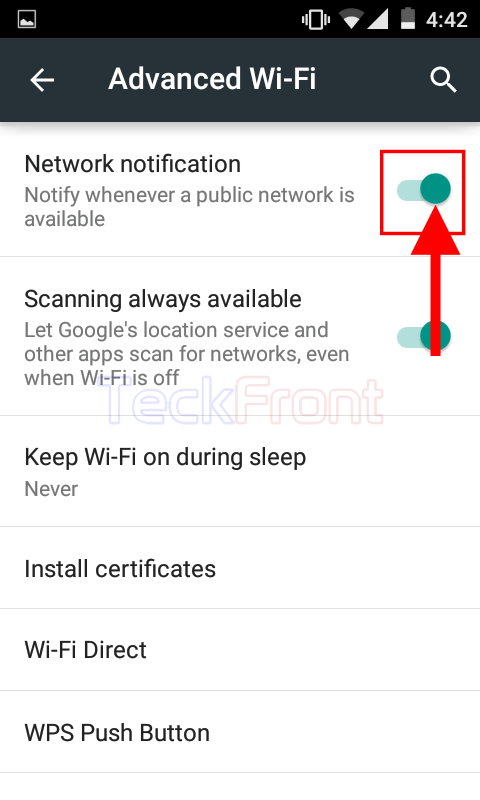 And if you are not sure; whether a public network is available or not, it is a good idea to activate a feature in the Android 5.0.2 Lollipop which will notify you whenever it will detect a public network in surrounding area. It is easy to enable this feature to notify you about the Wi-Fi network around you but if you do feel some problem, see the instructions. 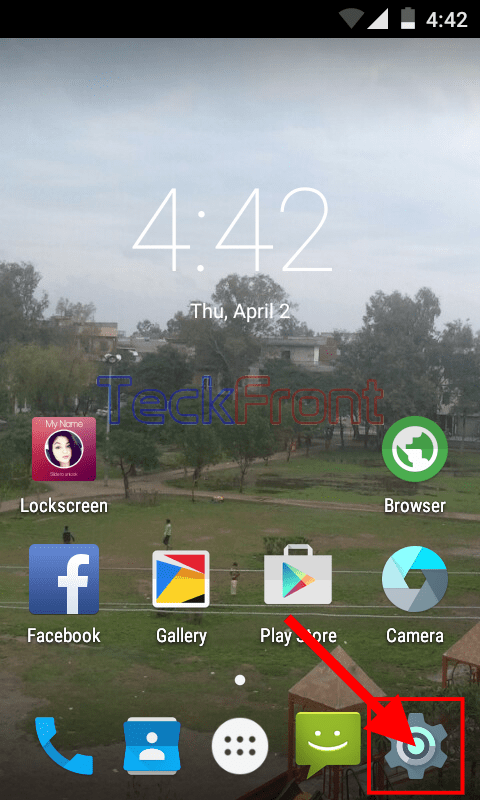 1: Tap the icon of ‘Settings’, given at the bottom right corner of the Home screen of your Android 5.0.2 Lollipop device to open up the ‘Settings’ screen. 2: At the ‘Settings’ screen, tap the ‘Wi-Fi’ in the ‘Wireless & networks’ section. 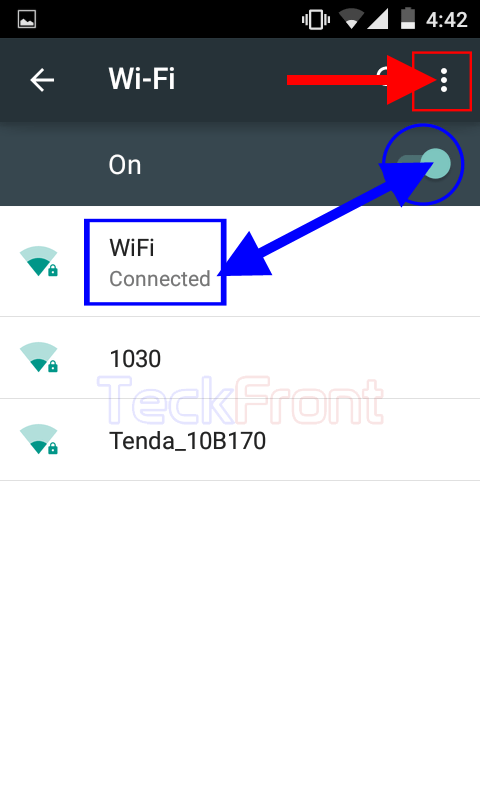 3: At the ‘Wi-Fi’ screen, ensure that the ‘Wi-Fi’ is connected – this is indicated by the status of ‘Wi-Fi’ which is ‘Connected’ and the ‘On’ status of the switch which is Green. 4: Tap the ‘Settings’ button, placed at the top right corner of the ‘Wi-Fi’ screen, immediately below the status bar. It will open up a popup menu. 5: Tap the ‘Advanced’ in the popup menu. 6: At the ‘Advanced Wi-Fi’ screen, see the ‘Network notification’ (Notify whenever a public network is available) is switched off which is indicated by the Grey color of the switch. 7: Tap the switch and drag it to the right to turn it on. The color of the switch will change to Green, indicating that the ‘Network notification’ is turned on. From now onward, whenever your Android 5.0.2 Lollipop will detect any public network around you, it will notify you and a notification will appear in the status bar of your Android device – depending upon your device. 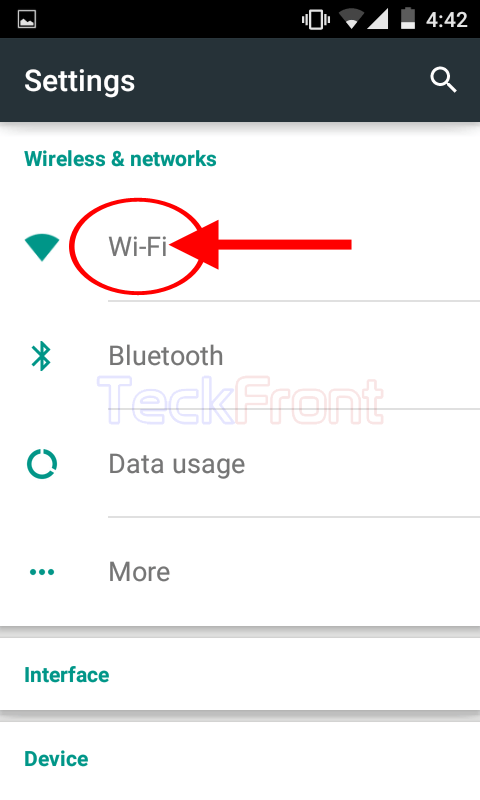 Newer How to Show Wi-Fi Usage in Android 5.0.2 Lollipop Devices? 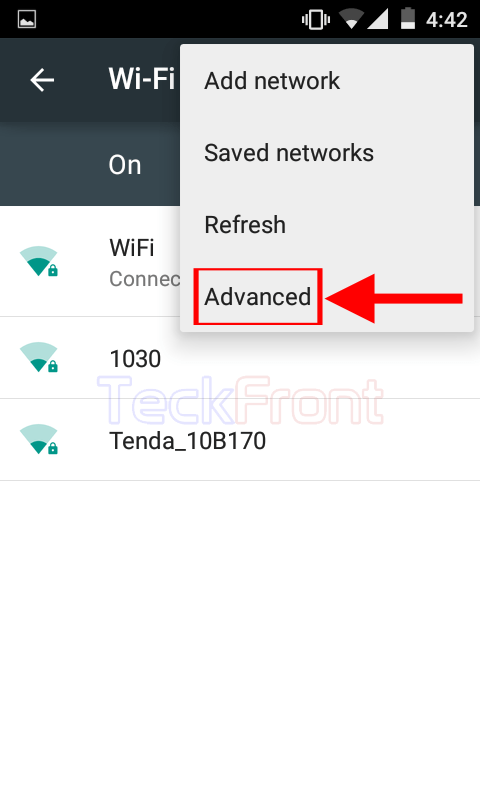 Older How to Enable Wi-Fi Scanning Always Available in Android 5.0.2 Lollipop?